London - Premier League club Cardiff have requested a meeting with French outfit Nantes to resolve their dispute over Emiliano Sala's transfer fee, the Welsh-based side said on Wednesday. Cardiff also obtained from world governing body FIFA - to whom Nantes had referred the case - an extension to the Wednesday deadline for the two clubs to hand over evidence, so they could rule on it, to April 15. 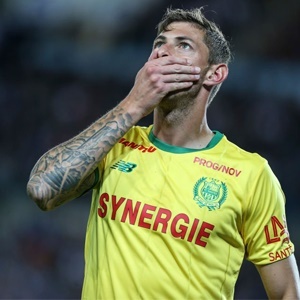 Sala, 28, died along with the pilot David Ibbotson when the Piper Malibu aircraft they were travelling in came down in the English Channel on January 21, two days after Cardiff had signed the Argentinian striker for a club record £15million from Nantes. Since the tragedy both clubs have engaged in an unedifying war of words over the fee with a source close to Cardiff telling The Daily Telegraph last week they do not owe anything as they consider the contract to be "null and void". "Cardiff City has requested and been granted an extension to the deadline to respond to Fifa on this matter. "Cardiff City recently wrote to FC Nantes proposing a meeting to discuss issues surrounding the Emiliano Sala tragedy and planned transfer, in line with Fifa's request for our two clubs to come to a resolution directly. "To date, Cardiff City has not received a response from FC Nantes."